1. Private public spaces. These are the spaces they don’t want you to know about, spaces within the big office buildings, up the stairs, and amongst the apartments. These are the ‘through site links’, which are public areas included in corporate buildings so as to give them bonus floor space. A lot of these aren’t well publicised though, and even if you know where to find them they may not be available. One of the many to look for is the rooftop observation deck at the Oracle building on Wakefield St – walk in like you own the place and take the lift to the unmarked floor 17 for flowers and a fantastic view of the city – just be out before 5pm, as the lift automatically shuts down then and you’ll be spending the night under the stars. 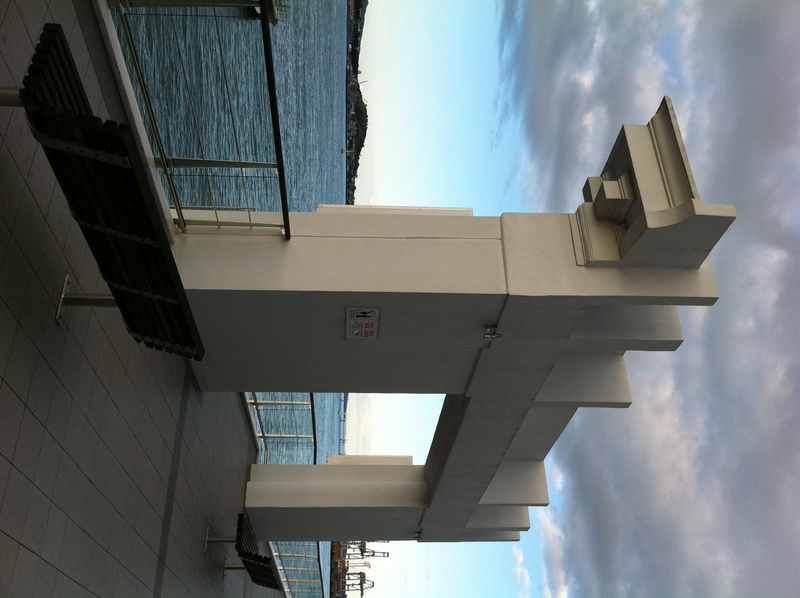 For a perfect space to sit outside and watch the boats come in, walk right to the end of Princes Wharf, past the Hilton, and up a flight of stairs to quiet benches in the sunshine that not many know about (photo above). It’s a stairway to your own slice of heaven, right in the central city. 2. Volcanoes are free and plentiful in Auckland. You only have to stand on one mountain to map out your path to the next. Walk up One Tree Hill (Maungakiekie) and Mt Eden (Maungawhau) any time of the day or night for a view of Auckland that far surpasses that which you’d get from any paid observation point. 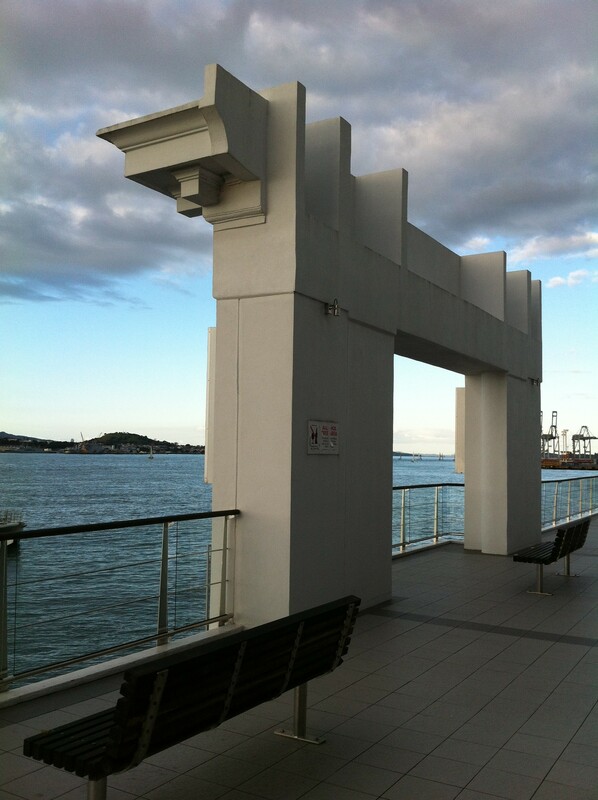 There’s a lot of history behind them too; Maori pa were built on these great landmarks. 3. And if you do want to know more about Maori pa and other New Zealand history, go to the Auckland War Memorial Museum. It’s more than just military history, plus it’s free to Aucklanders and only a donation for others. While you’re there, check out the gorgeous Winter Gardens, a 5 minute walk away through the domain. 4. More nature – beaches. If you can travel away from the central city, visit the wild west coast beaches like Muriwai, whose black sand will roast your feet on a hot summer day. Or Goat Island on the east side for a day of snorkelling at this fine marine reserve. If travel is difficult, there are plenty of beaches close to the city; like the small hidden beaches at the end of roads in Herne Bay, or the popular Mission Bay beach. 5. For your nightlife, free gigs are where it’s at. Keep an eye out for anything happening at the Wine Cellar, Golden Dawn, Khuja Lounge, Zeal, or the Ellen Melville Hall (depending on your current musical appetite).